Conflict Resolution Studies (CRS) seeks to understand the nature and dynamics of human conflict, and to look at appropriate alternatives for dealing with conflict in ways which develop healthy relationships and prevent violence. Conflicts are analyzed from an interdisciplinary perspective together with topics such as violence, power, justice, peace, communication, culture, war, conflict transformation and dispute resolution. CRS prepares students to understand and interact constructively in response to personal, local and global conflict situations. Conflict Resolution Studies can be taken alone or it can be effectively combined with another program at The University of Winnipeg, such as Business Administration, Economics, Environmental Studies, International Development Studies, Politics, or Sociology. The 4-Year CRS major is designed to serve students who plan to work in the field of conflict resolution. A Bachelor degree with a CRS major will also prepare you for graduate studies in peace and conflict studies or in a related field. The 3-Year CRS major is designed to serve students with an interest in conflict resolution who intend to pursue related professional degrees, such as law, journalism, nursing, education, etc. A degree with a CRS major will also support you in attaining an entry level position in the field. 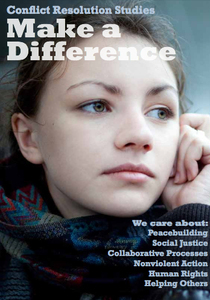 The minor in Conflict Resolution Studies is designed to serve students with as interest in issues of peace and justice who are completing majors in a complementary field such as Business Administration, International Development Studies, Gender Studies, Rhetoric and Communication, etc. 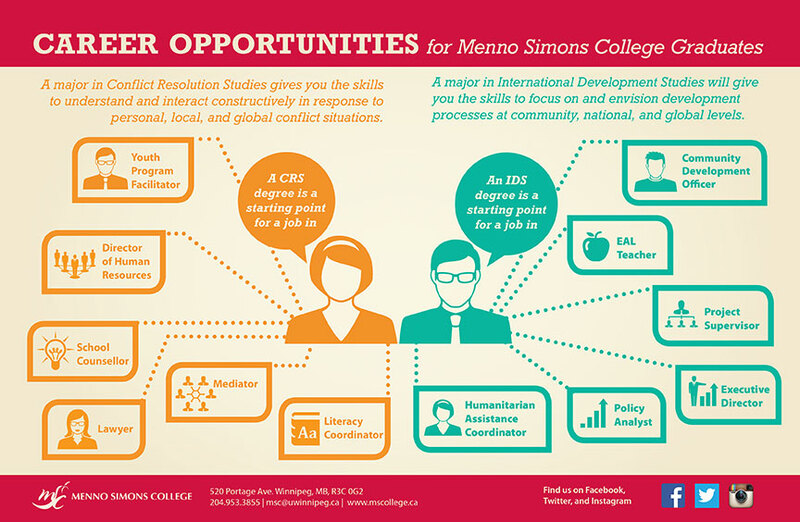 To learn more about Conflict Resolution Studies at Menno Simons College, please contact our Menno Simons College Academic Advisor, Gina Loewen, at 204.953.3848 or g.loewen:@:uwinnipeg.ca.